At HealthPRO®, we specialize in the development, implementation and management of clinically strong, compliant and financially successful therapy programs. Our team brings over 15 years of clinical, regulatory, operational, and financial expertise and significant experience in nursing facility operations. In response to the changes that went into effect October 1, 2011, we created a comprehensive preparedness plan. As a result, we’ve helped hundreds of clients evolve their programs, mitigate the potentially negative impact of FY 2012 PPS, and adapt to the new PPS environment. 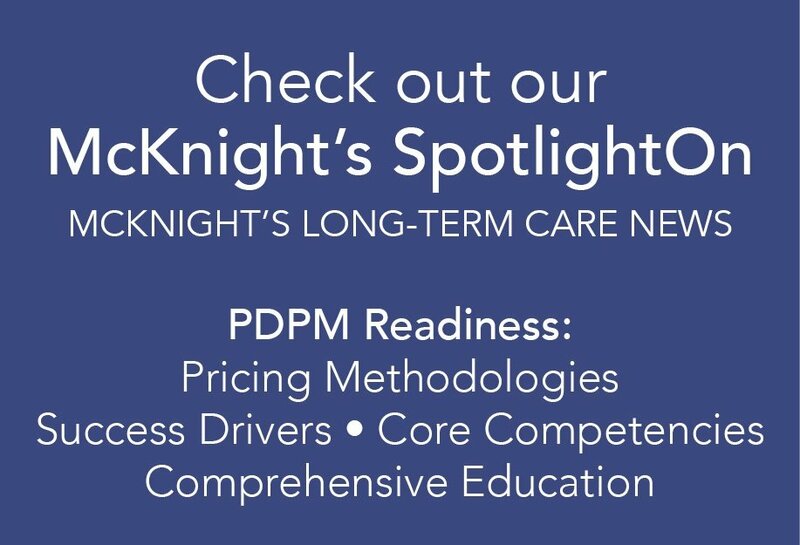 Through a comprehensive program analysis, we’re confident that we can help you improve clinical outcomes, compliance, and therapy net margin. To help mitigate the impact of new RUG IV refinements, we recommend that you increase the flexibility of your staff. Increased “sweeper” therapists, staggered shifts, cross-coverage among same discipline, CNA training programs and use of assistants are all great ways to increase staff flexibility. We will also work directly you’re your facility’s leadership to achieve the best results in the shortest amount of time. We will revise your approach to activities and appointments to mitigate EOT/COT risk, increase floor programming and create “waiting room” areas for treatment. We will also assess your technology capabilities to ensure that operations run efficiently and effectively. Once we identify inefficiencies, we will improve your technology by implementing our proprietary HealthMAX® system.